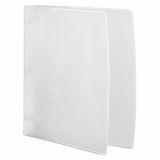 PVC-free polypropylene material resists ink smudging. 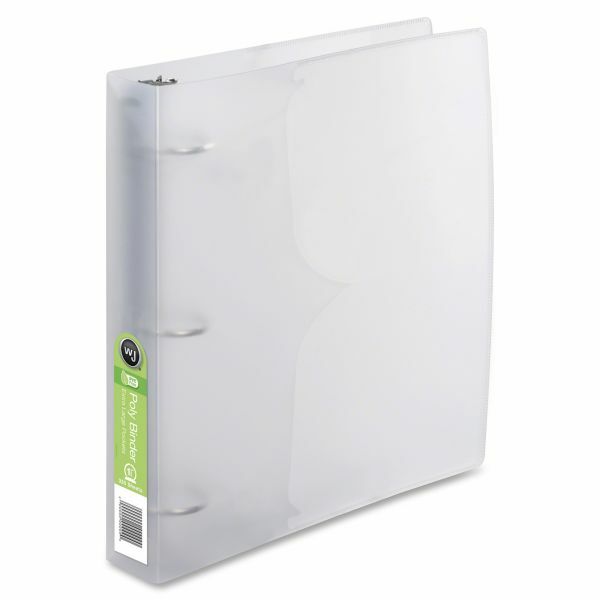 Back-mounted round rings offer extended flexibility when organizing material within the binder. Matte finish, clear and purple available. 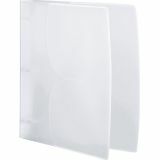 Two large clear interior pockets for holding loose papers, up to 15 sheets each. Wilson Jones Poly 1 1/2" 3-Ring Binder - Organize and store papers in a round ring binder with a translucent poly cover and two clear interior pockets.  PVC-free polypropylene material resists ink smudging. Matte finish adds a touch of elegance.